HANS KRALY for "The Patriot", Tom Barry for "In Old Arizona" and "The Valiant", Elliott Clawson for "The Cop", "The Leatherneck", "Sal of Singapore", and Skyscraper; Hans Kraly for "The Last of Mrs. Cheney", Josephine Lovett for "Our Dancing Daughters", Bess Meredyth for "A Woman of Affairs" and "Wonder of Women"
CLYDE DE VINNA for "White Shadows in the South Seas", George Barnes for "Our Dancing Daughters", Arthur Edeson for "In Old Arizona", Ernest Palmer for "Four Devils" and "Street Angel", and John Seitz for "The Divine Lady"
Sound films were made eligible in all awards categories, since no distinction was made between sound and silent films. 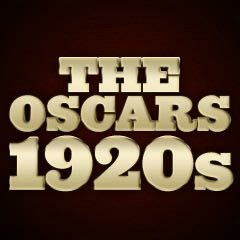 At the 1928/29 Academy awards ceremony, no film won more than one statuette (there were seven films honored in seven categories) - something that hasn't been duplicated since. In awards history, this was the first year that the awards were not announced in advance. For this second year's ceremony, a Los Angeles radio station did a live, one-hour broadcast. Looking objectively at the awards, it soon became clearly apparent that all of the winning performers and studios were closely associated with the Academy's Board, especially in regards to charter Academy member and nominee Mary Pickford with her Best Actress award for the critically-blasted Coquette. The films nominated for this year's awards were some of the weakest films in the history of American cinema, reflecting the chaos of the transition from silents to sound films. The stiffly-acted film brought in a record box-office of $4 million. It was made in crude two-color (red/green) Technicolor, and had a wonderful score with many musical numbers, including "You Were Meant for Me", "Broadway Melody", "Give My Regards to Broadway", and four other songs (by Arthur Freed, Nacio Herb Brown, and Willard Robinson). The film inspired three more "Melodies" in 1935, 1937, and 1940. 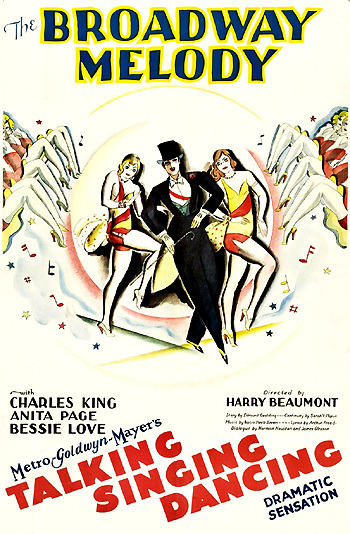 The Broadway Melody of 1936 (1935) was one of the few sequels to be nominated for Best Picture. The Patriot was the only silent film among the five nominees. (The Patriot was the last silent film to receive a Best Picture nomination.) [Lubitsch never won an Academy Award as Best Director]. The Best Director award went to Frank Lloyd for The Divine Lady (with three nominations and one win) - a film not nominated for Best Picture, in which Corinne Griffith starred as Lady Hamilton. [Except for Lewis Milestone, the previous year's Best Director for the comedy Two Arabian Knights, director Frank Lloyd is the only director in Academy history with a Best Director award for a film not nominated for Best Picture.] Lloyd's award was suspect, since he was one of the 36 founders of AMPAS, and this was his first sound film. In the set of nominees for Best Actor, future Oscar-winner Paul Muni, in his first feature-film role, received his first nomination (in a career total of five) for his role as James Dyke, an enigmatic, convicted drifter/murderer awaiting execution in director William Howard's The Valiant. Controversial was the Best Actress award, a 'career' award for silent star Mary Pickford (the former 'Biograph Girl' and curly-haired ingenue known as 'America's Sweetheart'), for her role as the heartless, Southern small-town flirtatious belle Norma Besant who perjured herself at her father's murder trial in director Sam Taylor's critically-denounced film Coquette. It was Pickford's first talkie and a film in which she attempted to change her "little Mary" image. Her hair was bobbed and her golden curls were cut, and she played the part of a belle who destroyed all the men in her life. Her award for her stiff performance also raised criticisms and charges that the Academy was a small, self-promotional club. [Mary Pickford was the wife of the former President of the Academy, Douglas Fairbanks.] With her win, she was the first foreign-born female actress to win a statuette (she was born in Toronto). After only three more films, Pickford retired from the screen in 1933. One of the best films of 1928/9 was the mostly silent film The Bridge of San Luis Rey, and although it won for Art (Interior) Direction (giving Cedric Gibbons the first of eleven awards and the first of thirty-nine nominations), it was neglected and not nominated in the Best Picture race. One of the greatest silent films, The Wind, was not nominated for Best Production, nor was its star Lillian Gish or its Swedish director Victor Sjostrom (or Seastrom). Erich von Stroheim was ignored as Best Director for The Wedding March. Director Carl Theodor Dreyer's silent film masterpiece The Passion of Joan of Arc (Fr.) (aka La Passion de Jeanne d'Arc) (1928) received no recognition from the Academy - it featured French theatre star Renée Maria Falconetti (in her final fllm role) as the martyred title character with closely-cropped hair who was forced to endure imprisonment, a trial, torture, and execution at the stake by fire in the year 1431. Greta Garbo's and MGM's last silent film The Kiss went un-nominated. And Buster Keaton was not nominated for his last independent film, the comedy Steamboat Bill, Jr.